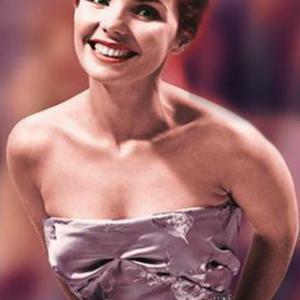 Teresa Brewer (born as Theresa Breuer, May 7, 1931, died October 17, 2007) was an American singer. She was born in Toledo, Ohio. Her father was an inspector of glass for the Libbey Owens Company (now Pilkington Glass), her mother was a housewife. At the age of two, Teresa was brought by her mother to audition for a radio program, "Uncle August's Kiddie Show" on Toledo's WSPD. She performed for cookies and cupcakes donated by the sponsor. At the age of two, Teresa was brought by her mother to audition for a radio program, "Uncle August's Kiddie Show" on Toledo's WSPD. She performed for cookies and cupcakes donated by the sponsor. Although she never took singing lessons, she took lessons to tap dance. From age five to twelve, she toured with the "Major Bowes Amateur Hour," then a popular radio show, both singing and dancing. She travelled with her aunt Mary until she married in 1949 and was devoted to the aunt, who lived with her until 1993, when Teresa's aunt Mary died. At the age of 12, Teresa was brought back to Toledo, ceasing touring to have a normal school life. She did, however, continue to perform on local radio. In January 1948 the sixteen-year-old Teresa won a local competition and (with three other winners) was sent to New York to appear on a talent show called "Stairway to the Stars," featuring Eddie Dowling. It was about that time that she changed the spelling of her name, as she won a number of talent shows and played night clubs in New York (including the famous Latin Quarter). An agent, Richie Lisella, heard her sing and took her career in hand, and soon she was signed to a contract with London Records. In 1949 she recorded a record called "Copenhagen" with the Dixieland All-Stars. The B side was a song called "Music! Music! Music!" by Stephen Weiss and Bernie Baum. It turned out that this side was the one that took off, selling over a million copies, and became Teresa's signature song. Another novelty song, "Choo'n Gum," hit the top 20 in 1950, followed by "Molasses, Molasses." Although she preferred to sing ballads, the only one of those that made the charts was "Longing for You" in 1951. In 1951 she switched labels, going to Coral Records. By this time she was married with a daughter. Since she never learned to read music, she had a demo sent to her to learn the tunes of her songs. Even so, she had a number of hits for Coral, though one of her recordings, "Gonna Get Along Without You Now," (1952) was better known in a 1956 version by Patience and Prudence and was also a hit in 1964 for Skeeter Davis as well as Tracey Dey. Also that year she recorded "You'll Never Get Away" in a duet with Don Cornell, and in 1953 came her best selling hit, "Till I Waltz Again with You." More 1953 hits were "Dancin' with Someone," "Into Each Life Some Rain Must Fall," and another gold record, "Ricochet." In later years she followed with "Baby, Baby, Baby," "Bell Bottom Blues," "Our Heartbreaking Waltz" (written by Sidney Prosen, who had written "Till I Waltz Again With You"), and "Skinnie Minnie." During those years she continued to play the big night clubs in New York, Chicago, Las Vegas, and elsewhere. In the mid-50s, she did a number of covers of rhythm and blues songs like "Pledging My Love," "Tweedle Dee," and "Rock Love." She also covered some country songs like "Jilted," "I Gotta Go Get My Baby," and "Let Me Go, Lover!," (better known by Joan Weber). In 1956 she had a two-sided hit with "A Tear Fell" and "Bo Weevil," covers of R&B songs. This was followed by "Sweet Old-Fashioned Girl." Also that year she co-wrote "I Love Mickey," about New York Yankees center fielder Mickey Mantle, who appeared on the record with Teresa. Another big hit for Teresa in 1956 was "Mutual Admiration Society." Though she is often dismissed as another pop singer, most of her songs have a decidedly pre-rock beat to them, especially "Ricochet", "Jilted" and "A Sweet Old Fashioned Girl". In 1957 she made more covers: of country song "Teardrops in My Heart" and R&B songs "You Send Me" and "Empty Arms.". The last chart hit of hers was "Milord" in 1961, an English language version of a song by ?dith Piaf. In 1962 she switched labels again, to Philips Records, and subsequently made a few recordings for other companies, but no more big chart hits. In the 1970s, she recorded for Flying Dutchman Records' Amsterdam label owned by her husband Bob Thiele. All together, she recorded nearly 600 song titles. For her contribution to the recording industry, Teresa Brewer has a star on the Hollywood Walk of Fame. Brewer died on October 17, 2007 in New Rochelle, New York.